With over fifteen years’ experience in Financial Services and a degree in Marketing, Grant brings a unique approach to his business and clients. Beginning his career with David Lerner Associates, then shortly afterwards transitioning to Merrill Lynch Wealth Management, his ultimate goal has always been establishing his own Wealth Management Firm. In March of 2014, MGR Financial Management, LLC. formed and is located in Chalfont, PA.
Grant holds the Series 7 General Securities Registration, along with his Series 63 and Series 65 State Designations with LPL Financial. 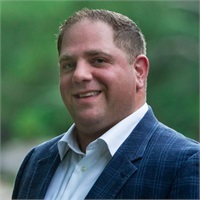 In addition, he holds his Variable Life, Accident, and Health Licenses through the states of NJ and PA.
With a strong belief in growing his local business community, Grant is actively involved with his Business Networking Group, BNI (Business Networking International; Ivyland, PA Chapter). He has served on Membership Committee, twice as Vice President and twice as President. In addition, Grant has also sat on the General Board for Tifereth Israel Synagogue. Grant recently moved to Hilltown, PA with his son Maxim and wife Rebecca. He is an avid golfer and has recently introduced the game to his son, Grant enjoys playing hockey, saltwater fishing, and collecting sports memorabilia. In the summer he can be found relaxing on the beach in Sea Isle, NJ with his family. For more information please contact MGR Financial Management, LLC (267) 205-2006.